Tobins' Tastes: Thanksgiving Sides Recipes With Country Crock & A Giveaway! 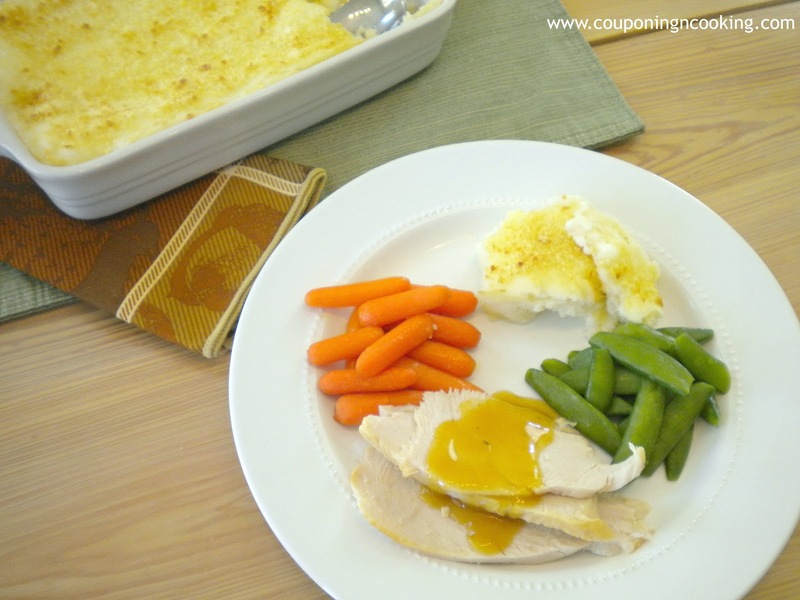 Thanksgiving Sides Recipes With Country Crock & A Giveaway! Do you love Thanksgiving as much as I do? Something about the decorations, the cooler weather (fingers crossed down here in South Florida!) and the fact that Christmas is rapidly approaching really makes me happy. I don't know about you but I am the kind of person who always prepares WAY too much food for Thanksgiving. My sides to main course ratio is always skewed in favor of sides. It doesn't matter if we are having 3 people or 30 people; I just can't resist myself. Not only is it delicious but Country Crock has 0g of trans fats which means that now your veggie sides can be an even better part of a well rounded Thanksgiving plate. And if you're anything like me, you will welcome the chance to make your plate a little bit healthier. More room for dessert right? Since I can never pick just one side dish on the actual day, I decided to feature two Thanksgiving side dishes using Country Crock. I just couldn't choose between my favorites of Honey Glazed Carrots and Parmesan Panko Mashed Potatoes. 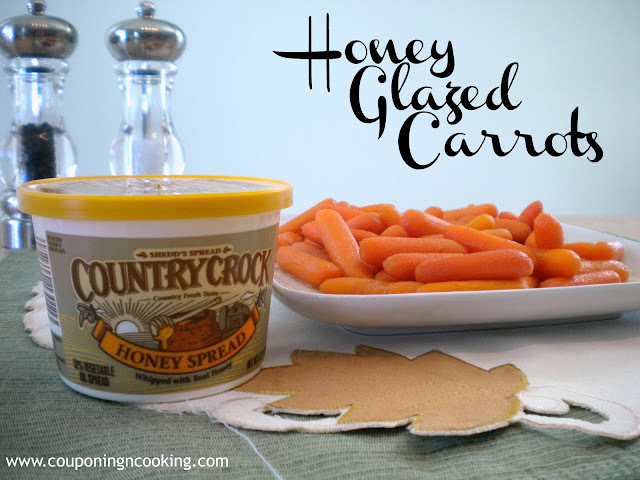 Country Crock's Honey Spread was the perfect thing for my carrots and I love that they make their spread in stick form too. It was the perfect thing to make my mashed potatoes, no hassle and easy measuring. Make sure you check out the recipes below! And be sure to come back later this week for a delicious Thanksgiving dessert inspired by Country Crock's Pumpkin Spread! What's amost as fun as these yummy looking side dishes? A Thanksgiving Kit Giveaway! Follow the steps in the Rafflecopter widget below to enter! And make sure that you visit Country Crock Chronicle In The Kitchen to earn more chances to enter! 1.) Peel and quarter the potatoes. In a large pot of water, boil for about 10-15 minutes or until tender. 2.) Drain the water and return potatoes to the pot. Mash in the Country Crock, milk, sour cream and shredded cheese. 3.) Spread into a lightly greased baking dish. Top with the mixture of panko and grated Parmesan. 4.) Bake at 400 degrees for 25 minutes or until the top is golden brown. 1.) In a large saucepan, cover carrots with water and bring to a boil. Let carrots boil for about 5 minutes. 2.) 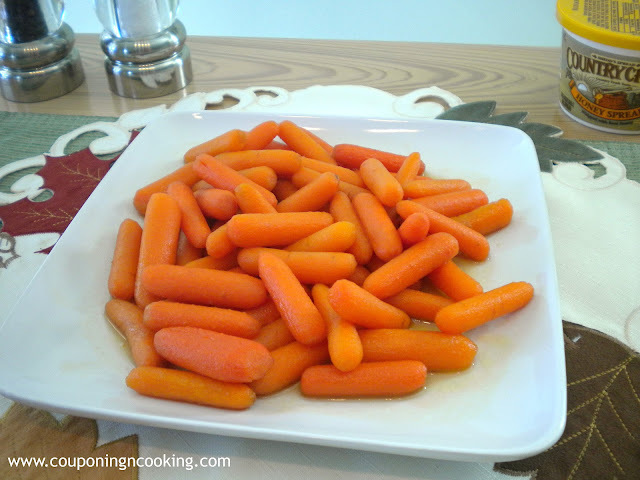 Stain the water, return carrots to pan. 3.) Saute with Country Crock Honey Spread and brown sugar until they reach your desired tenderness. I'd revamp my bacon and shallot green beans. I'd revamp my baked pineapple with Country Crock. I'd revamp my macaroni and cheese recipe. Thanks for sharing this amazing potato recipe on Thanksgiving Treats and Fall Finds. It looks so delish and it's on my "to make" list! Yum! I love anything with cheese and panko in it! Thanks so much for linking up to the Thanksgiving Treats & Fall Fun link party! Cheese & Panko yummm!!! I'd use it in my sweet potato souffles! I would revamp my cauliflower bake. I would revamp my baked corn. I'd revamp my roasted parsnip recipe. I'm now inspired! I would redo Twice Baked Potatoes. Love those! Those potatoes look great! I know they would be a hit in my house! I love honey glazed carrots! 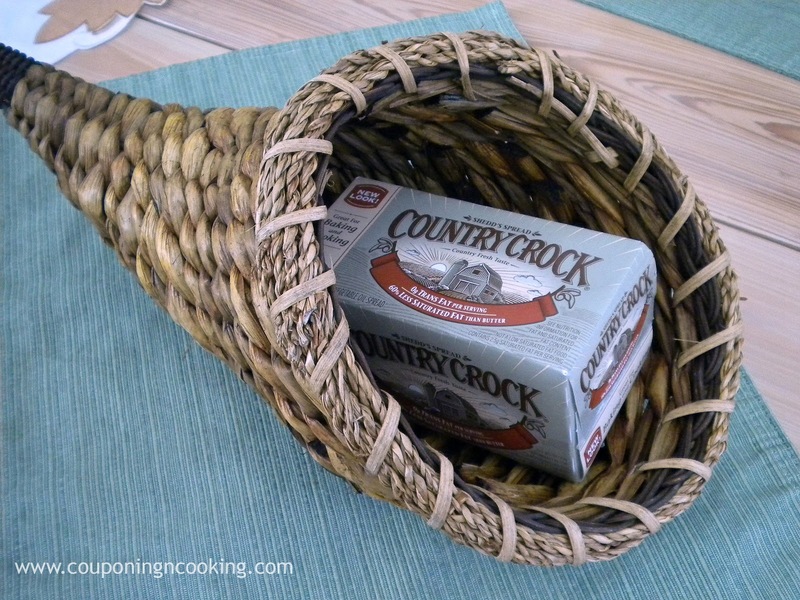 I'd use country crock in my yams recipe. I would revamp mashed sweet potatoes! I would revamp my sweet potato bake. I would revamp my grilled cheese!! This looks much easier to spread on bread than butter! I'd use it in my sweet potato recipe. I would definitely revamp my sweet potato casserole! I'm your newest follower from the Thumping Thursday blog hop. I'm a sucker for good food and good deals, I look forward to following you! I would use the cinnamon margarine in my sweet rolls instead of doing cinnamon and margarine separately. Right now I'm living in an area in Honduras that grows potatoes, big time. I'm always in need of another potato recipe. Thank you. Partying from What's Cooking, Love. I have been looking for the perfect side for Thanksgiving and I think I just found it! Love this! Yummy looking food, I love the Mashed Potato Casserole. Hope you have a fantastic weekend and thank you so much for sharing with Full Plate Thursday. I am going to have to try your parmesan mashed potatoes. They look yummy. I would revamp my mashed potato recipe. Everyone here LOVES potatoes and we love panko. This sounds like it would be a hit with my whole family, which is hard to accomplish bc everyone is so different in their tastes. Potatoes is one thing I know they'll all eat. We are in Central Florida. :-) Howdy neighbor! We've gotten some nice weather this week. How is it down there? I think it would be an interesting experiment to baste the turkey with melted Country Crock. My wife does most of the cooking, but I think some country crock would really improve her yams, not that they need to be improved. I would make the honey butter glazed carrots! The mashed potato looks good. i'd revamp my homemade mac and cheese recipe! I have to try the Panko Mashed taters! They look yummy! I would have to revamp the butter hungry mashed potatoes with Country Crock! I would use Country Crock on my sweet potatoes. I would like to make the Panko Mashed Potatoes! Yummy! 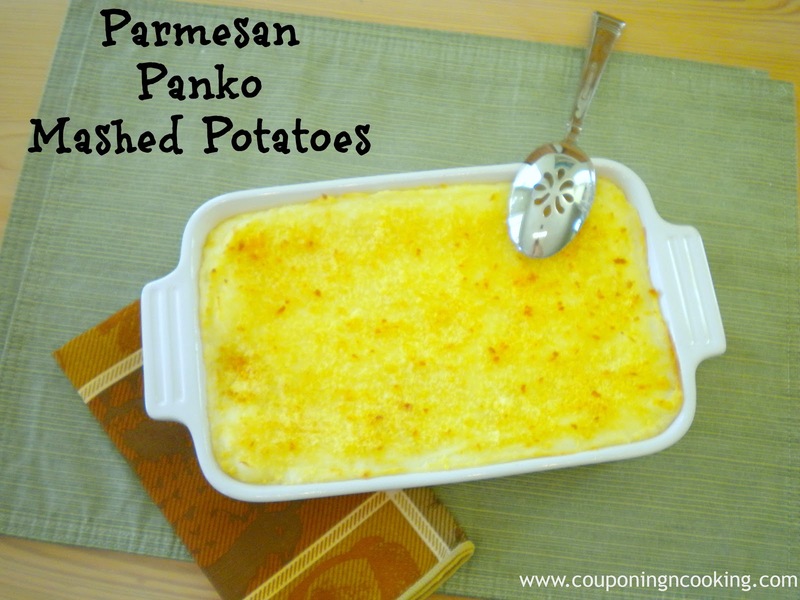 I would love to try the Panko Parmesan Mashed Potatoes! They sound so delicious! I'd use it to revamp my mashed potatoes! either our sweet potato casserole or apple crumble :) and your carrots look amazing, will have to give those a try! 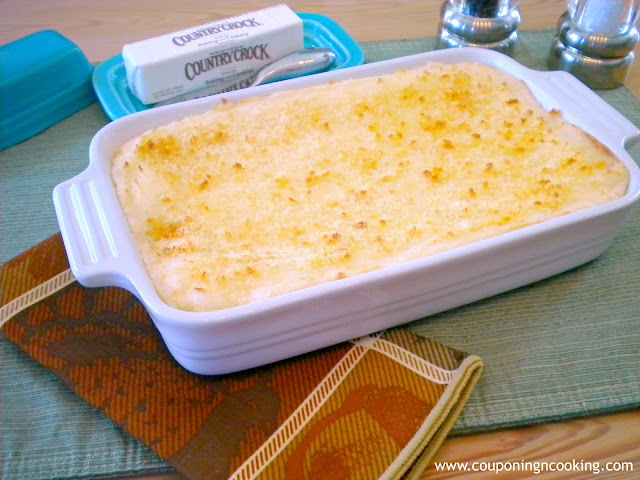 I'd revamp au gratin potatos.Thank you for the oh so awesome giveaway! Anytime I can shave off a few calories at the holidays I am happy. Thanks for sharing over at Fabulous Fridays! Those potatoes look amazing. I've never used Panko in my mashed potatoes but I'll be trying it now. Thanks so much for linking up to Creative Thursday. Can’t wait to see what you share this week! Have a wonderful week. These look scrumptious, thanks for linking up last week, we'd love to have you back! oops-missed the giveaway but the food looks great.